Keith L. Scott is the President and Chief Executive Officer of K.L. Scott & Associates. Keith has over 24 years of IT Strategy and Management Consulting experience leading client initiatives in the non-profit, public and private sectors. Keith leads the firm with establishing new clients and partnerships, providing strategy consultation, and project engagement oversight. He is a proven results-oriented leader. Throughout his career, Keith has been known as a master facilitator, mediator, and team builder while keeping his eye on the big picture and delivering solutions for his clients. Keith is a member of the Project Management Institute, Technology Association of Georgia (TAG), National Association of Government Contractors, and the Atlanta Business League. 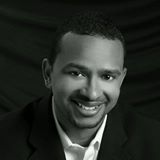 Keith holds a Bachelors of Science in Computer Science from North Carolina A&T State University and a Masters of Business Administration in Strategic Management from Mercer University.